﻿As a child in a refugee immigrant family which emigrated from the former Soviet Union to the United States in the mid-nineties, I've seen my fair share of change for a seven year-old. We were but one of several thousand Slavic families that immigrated in the decade between 1990-2000. 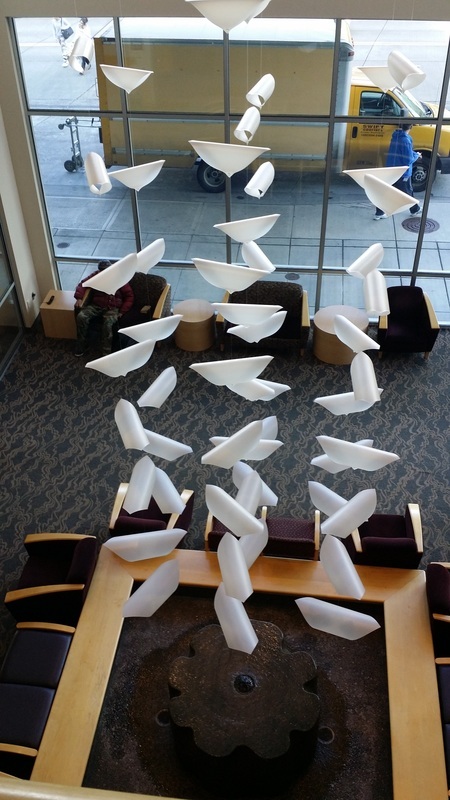 For this reason, the Slavic community is the largest refugee-based community in Oregon. This is a finding of the Coalition of Communities of Color in their 2014 study. In Russia there was never a big focus on dental care and dental hygiene. Many who came here have missing teeth, gingivitis, and various myths about American dental practices. I being fluent it English and Russian decided to try to make a difference, and in my late teens completed dental assistant training and began working as one. I fell in love with dentistry at that point, and my passion for the field grew. I decided that I wanted to do what the doctor does, and I went to college. I will be the first person in my entire family to achieve a higher education. My goal is to become a dentist by getting into dental school. 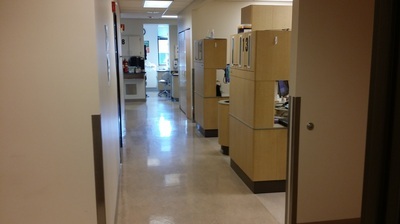 ECDC is the largest and newest of six dental clinics in the Multnomah County Health Department (MCHD). The health department has been around since 1854, and in 1968 they merged with the City of Portland to become the sole public health authority in Multnomah County. 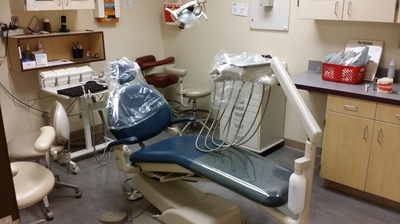 With all clinics functioning full bore the MCHD is the largest provider of public safety-net dental care in the county. 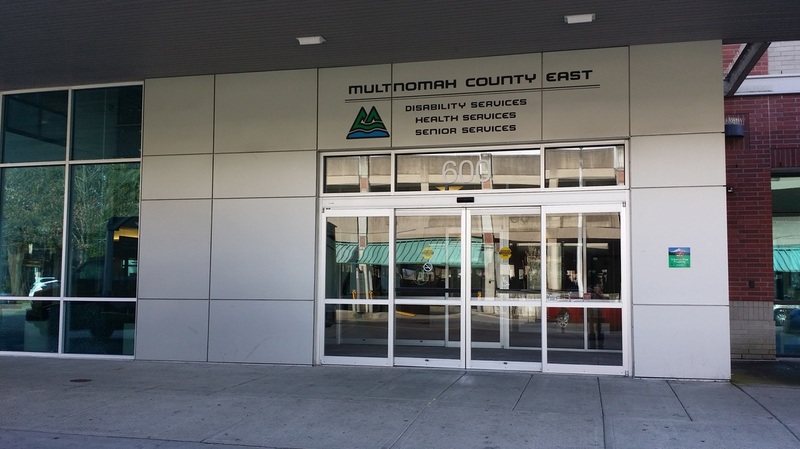 MCHD Mission: "In partnership with the diverse communities we serve, the Health Department assures, promotes, and protects the health of the people of Multnomah County." MCHD Vision: "Healthy people in healthy communities." 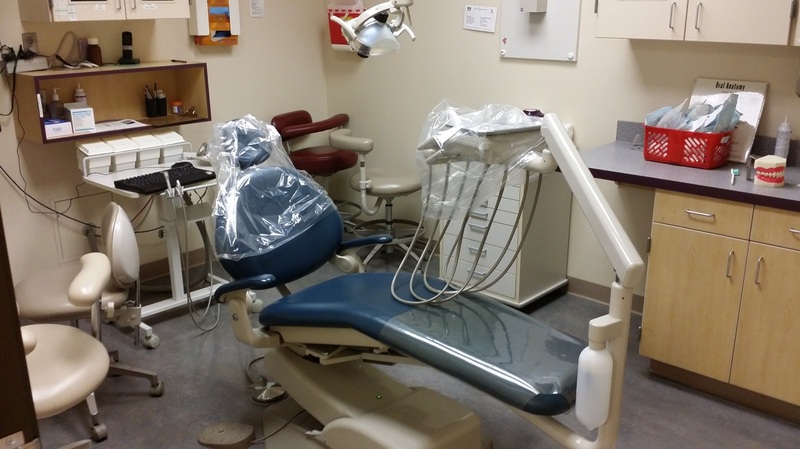 In a vibrant dental office there are many components that comprise the whole. Productivity, operational efficiency, marketing, team effectiveness, communication, leadership, and clinical patient services all feed into the revenue, which in turn allows the dental clinic to continue doing what it does best. You guessed it! Complete a literature review about the topic. 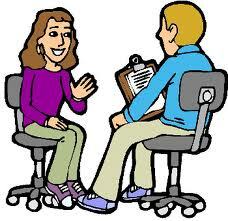 Conduct in-person informant interviews of the dental staff. Research the ECDC patient population and demographics. Compile all the results into a report synthesis. As results, I discovered that 90-95% of ECDC patients have a smartphone, and 80.6% are under the age of 35. 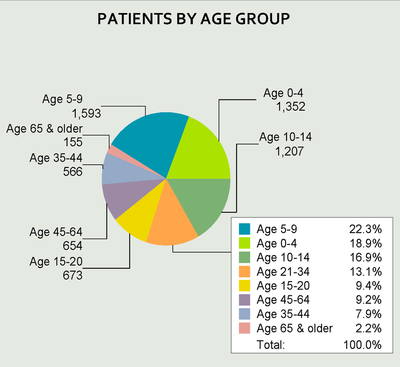 Therefore, the patients already have the devices, and the younger they are the more likely they are to use apps. Right now, the only method of patient contact is via phone calls, and some patients are hard to reach. 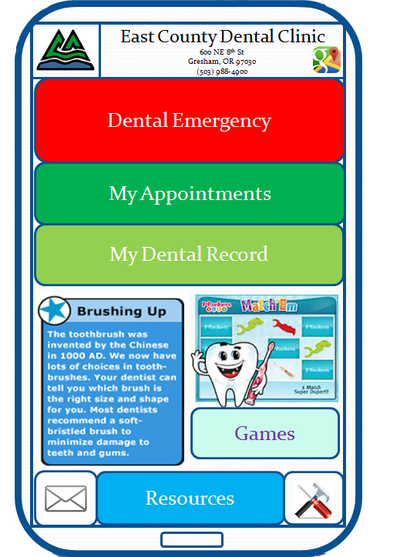 The app would allow an additional avenue of communication, it would set ECDC apart from other safety-net dental clinics, increase patient education and outreach through more effective communication and marketing, and with the app patients will be more proactive about their dental care. Furthermore, the only Multnomah County entity so far which offers an app is the Library, and it has over 10,000 downloads and very high ratings. See gallery below for a screenshot of the app homescreen. Emergency safety-net clinic location finder via GPS. Appointments (booking, reminders, confirmation, cancellation). Fun game with an educational message for the kids. Happy birthday pop-up wish on a patient's birthday. 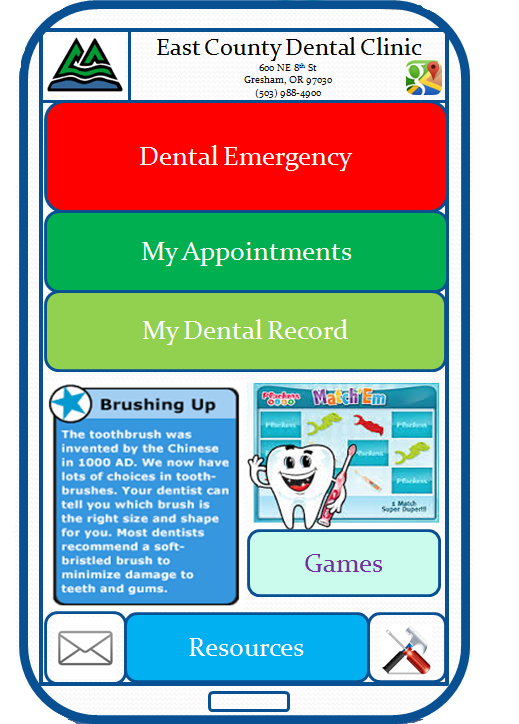 Personalized encrypted database of dental record in MyChart or Epic. Dental "tip of the day" pop-up. 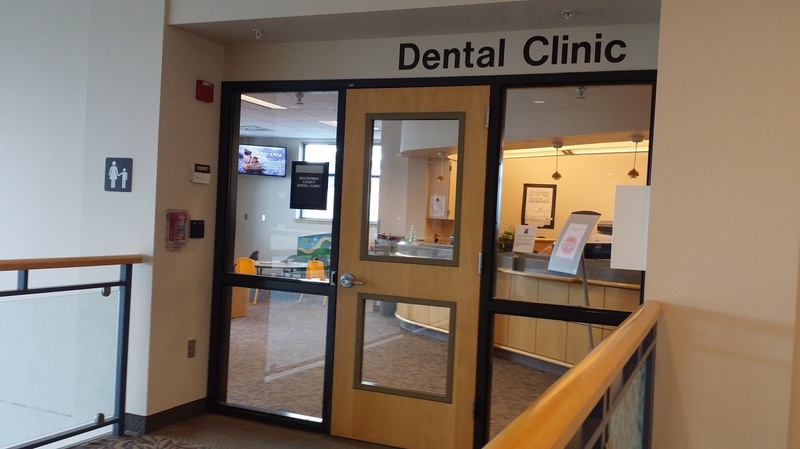 Patient education resources (services provided, dentition, dental insurance, referrals to other MCHD services). In doing this project, I learned a great deal about the vast diversity of our local communities. I also learned a lot about the large refugee-based Slavic community here in Oregon, to which I belong. I had to think critically about my approach to the project as well as how I fit into this fabric of society now, and as a future provider. In essence, communication is critical to promote the health of the people--one of MCHD mission goals, and I strongly feel the app will be a big step in the right direction. 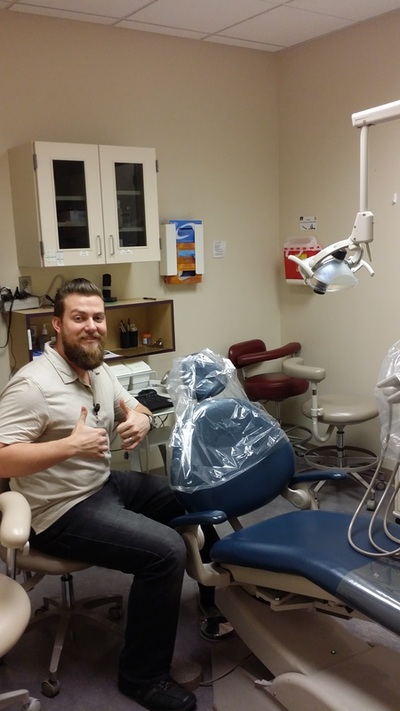 As a safety-net dental clinic, one way to stay socially responsible is to keep-up with the rapidly changing landscape of public health through evolving technology. I really enjoyed this project, because I truly felt like I was being an effective change agent in my community; especially in the field of dentistry about which I'm greatly passionate.